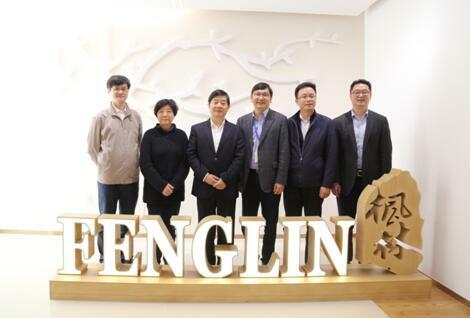 On the afternoon of 16 November 2017, the delegation, led by Hu Min, CPPCC Chairman of Shanghai Xuhui District, Zhou Xiufen, Vice Chairman, and He Aixing, Secretary-General, visited Fenglin Group. In the company of Gan Rongxing, SCRC Director, and He Jiachen, Secretary of the Party Committee and President of Fenglin Group, the CPPCC leaders of Xuhui District visited Central Laboratory, Big Data Center, and Exhibition Hall of Fenglin Healthcare Industry and Fenglin International Innovation Center, and debriefed Gan Rongxing about SCRC’s work. 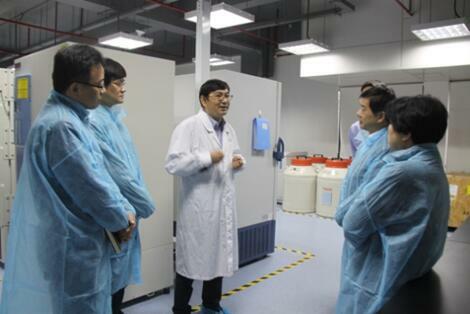 Specifically, Gan Rongxing introduced to the visiting leaders the status quo of and future developmental strategies for SCRC as well as the efforts SCRC made to promote medicine innovation and translational medicine research. Hu Min, CPPCC Chairman of Shanghai Xuhui District, fully appreciated SCRC in professionalization and internationalization, and highly praised SCRC’s prospective working layouts in clinical research and biobanking. 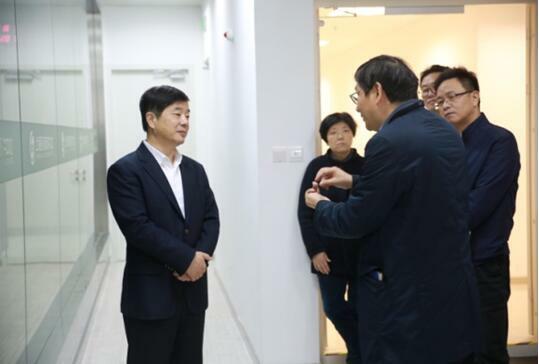 At the same time, Hu Min hoped that SCRC would fully utilize its resources and platform advantage to make more contribution to life health industry development at Xuhui District.